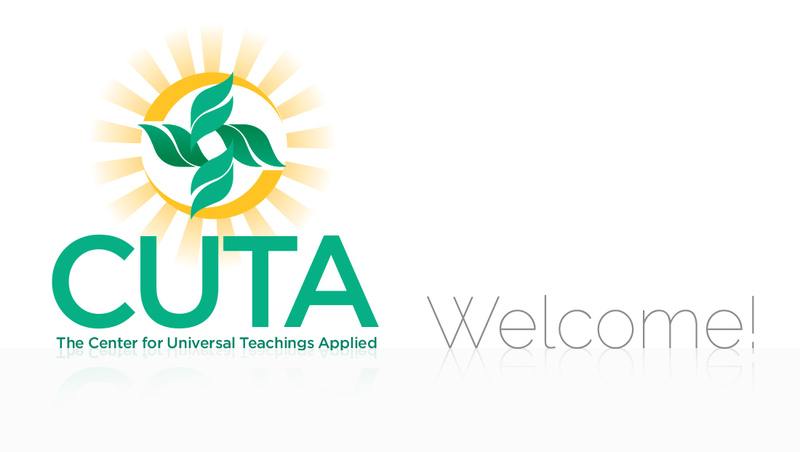 Welcome to the Center for Universal Teachings Applied. In the following postings, we will be presenting Universal Teachings, which cover every aspect of life. The Teachings are guides and aides in helping you understand and master this life. All of these Teachings are based on God’s Immutable Laws, unchanging and eternal. The laws are unchanging and eternal. They are universal because regardless of your religion, belief, faith, practice, path, or non-path, they still apply to you. If man were to incorporate the Teachings into his life and applied them on a daily basis we would all be in a much better place. We would be able to live the promise of Peace, Joy, and above all Love. Divine Love. Total acceptance of others, no matter what they may be. By looking WITHIN we would know, and practice, the understanding that there is only one God, even though It might be called by many different names. The teachings of man, through religion and other venues, separate man, one from the other. Through this blog we will provide Teachings, insights, understandings and applications. All with one goal in mind. The goal we must all achieve, oneness with God, within and without. Here is what Jesus taught about that: Jesus said: “If those who lead you say unto you: Behold, the Kingdom is in heaven, then the birds of the heaven will be before you. If they say unto you: It is in the sea, then the fish will be before you. But the Kingdom is within you, and it is outside of you. When you know yourselves, then shall you be known, and you shall know that you are the sons of the living Father. But if ye do not know yourselves, then you are in poverty, and you are poverty.” This Teaching is found in the Gospel According to Thomas. You may not have heard of this gospel because the church feels that it is heresy. However, this gospel, a part of the writings discovered at Nag Hammadi, Egypt in 1945, was written DURING the life of Jesus, NOT seventy (70) years after his death. And not edited to serve the church or man. We will present the Teachings and applications through different categories, such as Creation, Foundational Thinking, Material Mastery, as well as Teachings specific to the four selves. That “image” is our soul/spirit. The Emotional Self which is where we manifest our beliefs through words, deeds and actions; the Physical/Material Self which is a direct reflection of our belief system in action, and lastly our Social/Intellectual Self. The self we show and use to interact with others.